As soon as you arrive you can leave your stresses at the door and enjoy the comfort of our friendly surroundings and the calming, relaxing and gentle aroma of essential oils in our beauty therapy treatment room. Our treatments and products have been carefully selected to ensure that you gain the most from your experience. My name is Leila; I trained as a beauty therapist at the London College of Fashion, graduating in 2004. I have been lucky enough to have worked in some of London’s top Hotels and health clubs; however I decided to start my own business in spring 2009. 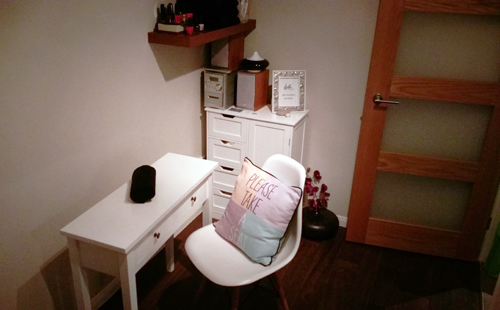 I practice beauty therapy in my purpose built treatment room in Colchester.